MESH07 finished Thursday, and some threads there stuck with me, and actually bother me. As I posted earlier, the theme this year had moved on to “how can I build a social network” versus 2006, which was all about “how can I monetise a blog”. What bothers me is the apparently opportunistic view, aimed at the supposedly latest big idea. The danger in that approach will lie in missing the strategic benefit, and left chasing rainbows. 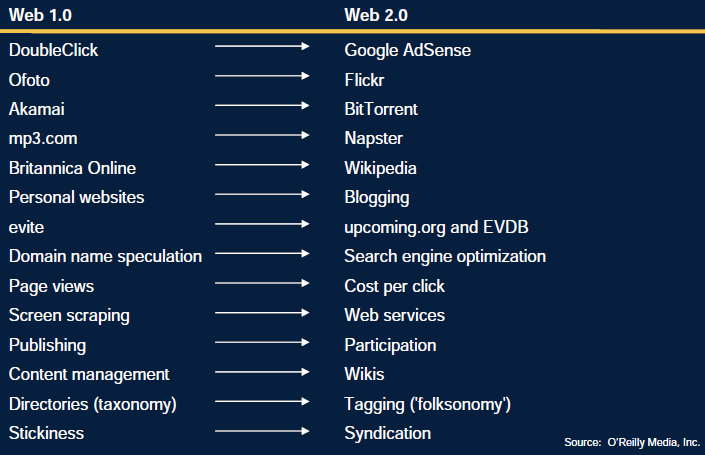 If we go back to the explanations of Web 2.0, provided by O’Reilly, we have to conclude, it was not well defined. In all fairness though, it was an attempt to depict the resurgence of Internet, following the dot com crash five years earlier in 2000. Following the crash, Banks were comforted by strategies and comments such as ‘bricks and clicks’ suggesting Internet was OK for transactions, but branches were where customers true loyalties were defined. The world is as it should be. The web 2.0 moniker should really have been the resurgence of the web, reflecting concepts that were theoretically outlined in the 90’s, but took real hard work from smart people to bring to fruition. Attributes of the Web 2.0 world show up as real manifestations of those 90’s theories. It became clear Internet was society and business changing in its effect. Web 2.0 is no more than the evolution of those basic concepts into real and valid businesses. The challenge for Banks is that those concepts are not yet on that radar. Banks do not show up in any of those three categories, except for Wells Fargo. Interestingly, Credit Unions are more active. But the real threats to Banking remain in new entrants. Further the new entrants can scale rapidly and cost effectively using the tools in the third category. 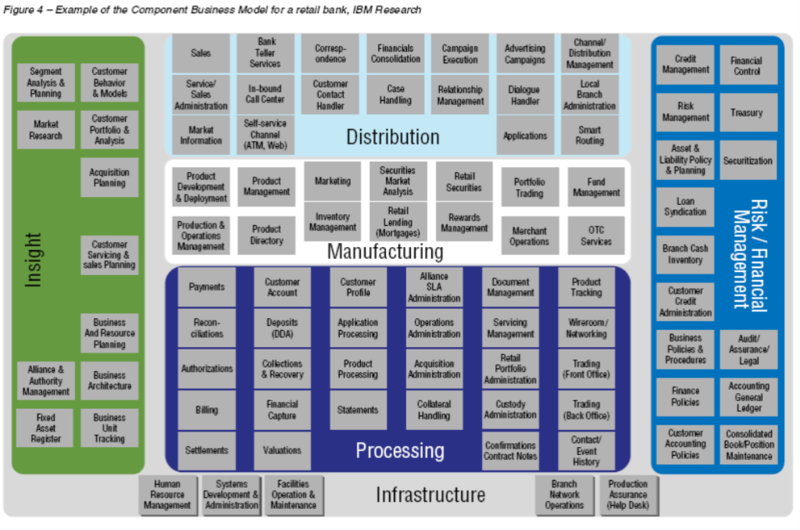 Consider Banks whose networks are proprietary, and scalability is expensive and difficult. The technology tools exist to participate, and are becoming more and more mainstream, yet Banks remain on the sidelines. A survey of 60 Bank executives in UK, in February, concluded that fear of brand damage scared them. As we have said here before, more brand damage will occur in the long run, by ignoring web 2.0. The conversations about your brand are already there, online, so why not take the chance to talk to your customers where they are, online. I think this is an excellent summary of what bank could use and where they could go if they were not, for most of them, standing on the sideline. That brand damage fear keeps them from stepping in but it can also create opportunities to provide a space where they could interact with consumers without jeaopardizing their brand equity (or lessen the ristk) and not needing the C suites’ buy-in. I believe we could see some more interesting things happening in the coming quarters. I agree Martin. I note you are in the CRM biz, and sorry I missed you at Net.Finance 2007. This is a long shot, but CRM as a capability to help close the gap for Banks, but pulling together online comments about a Bank. In some cases they may be attributable to individual customers, and others not, but as you point out it all adds up to the fabric of the Banks persona online. Thanks for calling us out, Colin. I’m very surprised that the other major US banks haven’t caught on the the benefits of Social Networking/Media. American Express’s recent “The Member’s Project” is a pretty good example, yet doesn’t bring out the personality or humanize the AX brand, as I believe our blogs do. We’re moving “full steam ahead”.